Empower your students to build positive relationships. Relationships are the cornerstone of health, happiness, and resilience. 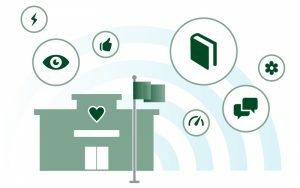 We equip schools with the training, strategy, and resources to inspire students to build positive relationships. At our training sessions, we provide you with the knowledge, confidence, and strategy to effectively implement The Positivity Project in your school. 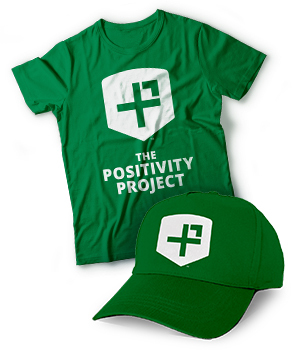 Purchase Positivity Project gear for your school! Get your official Positivity Project t-shirts, magnets, and posters here. I’m grateful that my son had the self-awareness and vocabulary to recognize the strength of perseverance in himself. I don’t think that would have been possible without the P2. I believe that sharing information about the P2 will encourage families to have character-based conversations at home, and reinforce the “Other People Matter” mindset. We are in the business of changing lives, and partnering with The Positivity Project has rekindled that fire. Mr. Jones and I used to just talk back and forth. But when he found out my top strength is humor, we started telling each other jokes every day. My relationship with him is so much stronger now because of The Positivity Project. We have changed the way we talk to children. We directly teach them about the value of themselves and how they affect the lives of those around them. This has made a huge impact for the students that we teach — and also for us as teachers. We have been inspired with what we have seen in our school community since implementing The Positivity Project. We know that what we are teaching and discussing in our classrooms will forever change the way our students understand, look at, and treat others. We must deliberately and consistently teach our children about character. The P2 has transformed the culture of our building and our community in Homewood. I believe that using P2 has enhanced relationships between students in my class. They are more interested in solving conflicts with each other, forgiving each other and learning to respect each other. I have literally no behavioral issues in my class and I think it’s largely due to my consistent use of P2. Students love spending time each day learning about the 24 character strengths. Although The Positivity Project is designed for easy and quick implementation, its presence is felt in my classroom throughout the entire day. The 24 character strengths vocabulary is now part of my students everyday conversations – and I see it in their writing as well.